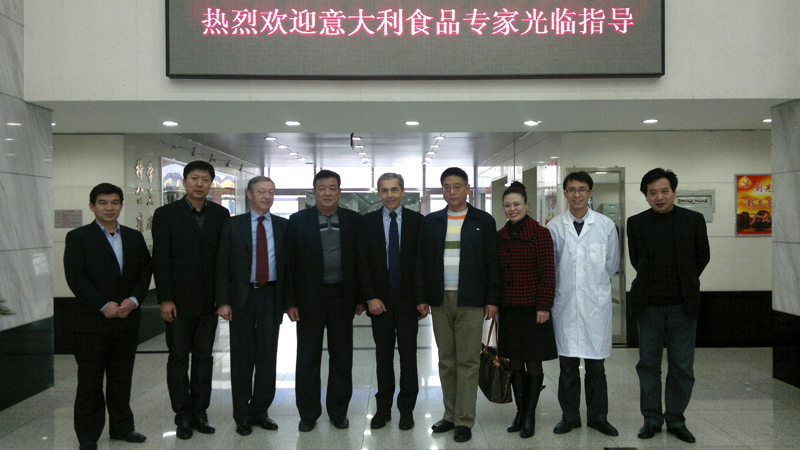 A delegation of the G. Caporale Institute (ICT) formed by veterinary doctors Alberto Mancuso and Giacomo Migliorati landed in China on November the 28th for a cognitive mission in Tianjin, ending on December the 1st, 2011. Tianjin is a metropolis located in the north of the country and one of the five municipalities of the People's Republic of China. With a population of over 12 million people and a land of 11,760 km2, the territory is home to a great concentration of industrial activities. The aim of the mission was to evaluate the opportunity to instate new collaborations on matters of food safety; namely with respect to control techniques concerning product compliance verification. 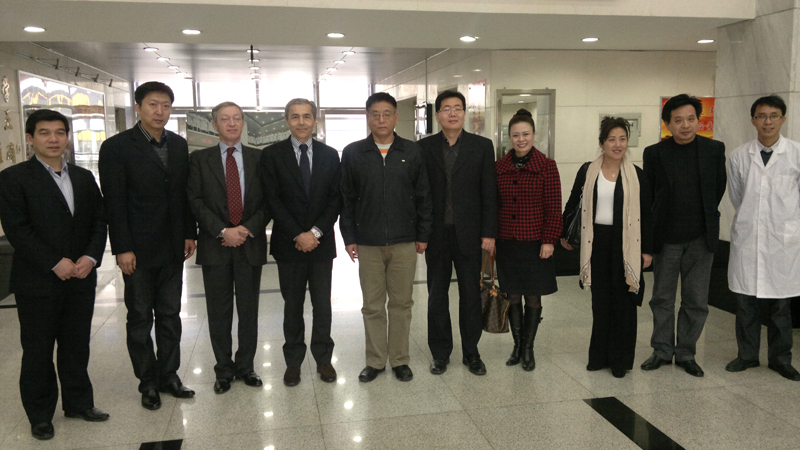 The Institute's representatives were accompanied by Yuan Jin and Jiao Lei, respectively director and deputy director of the Economy & Science Technology Division - Overseas Chinese Affairs Office of Tianjin Municipal People's Government. Together, they visited the Tianjin Product Quality Inspection Technology Research Institute, where they were welcomed by President Tian Shengliang, Secretary-General Zhong Oing, and the executive staff of the Institute. Upon the mission's ending, Chinese Authorities expressed their satisfaction with regard to the meetings' outcomes, and their queen interest on the ICT's activities. They hence agreed on the establishment of a new collaboration, which will include personnel exchange and advanced training courses on matters of food quality and safety, in China as well as at the ICT's quarters. 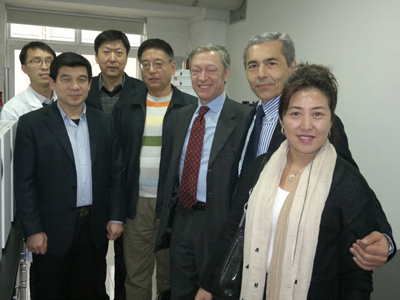 The Tianjin Institute promptly reported the news about the Italian delegation's visit on it's official website. 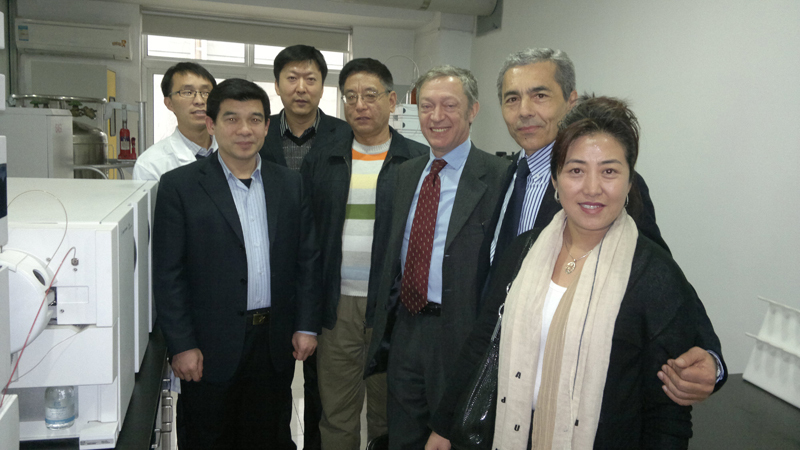 The strategic importance of the G. Caporale Institute's presence in the People's Republic of China is manifest and fits within the context of international cooperation aiming to continuously enhance consumer health protection.